Week 7 has yet another Pirate Camp challenge for players to complete. The new/modified locations for Season 8 have been a focus for Epic Games and have added several challenges relating to the camp in the past. 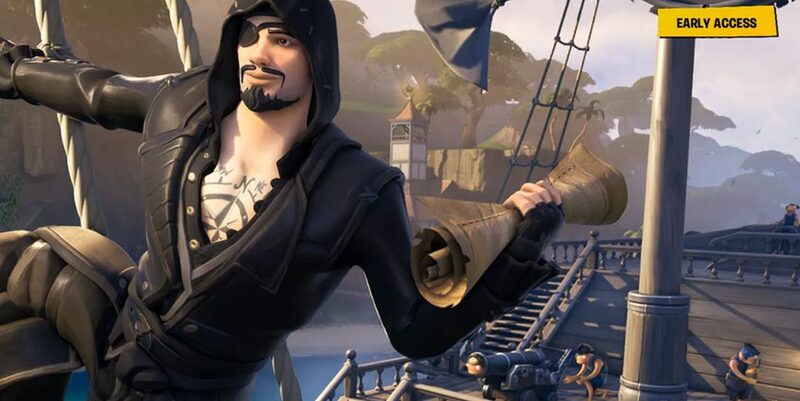 Week 7 of Season 8 for Fortnite has brought with it a new Pirate Camp challenge. This time we’ll be run around inside of one match to three separate camps. While the feat isn’t the hardest challenge in Fortnite’s history, it can be quite the challenge when you factor in fights, the Storm, and looting. We’ve got a little guide to help you get to the three Pirate Camps as quickly as possible. Well, first, it might be beneficial to actually know where the bloody camps are in the first place. They can easy enough to spot from the air, but tend to be hidden away in forests or jungles, making them hard to find on the ground. We’ve got a map with the location of each camp, just in-case you want to forge your path. Now you know where to find the camps, but what’s the most efficient way to get to three in one match? We’ve got you covered! While you could, in theory, reach any of the three camps within one match, you would be pressed for time in some combinations. Especially if Epic blesses with one of their patented Storm ending at the edge of the map. 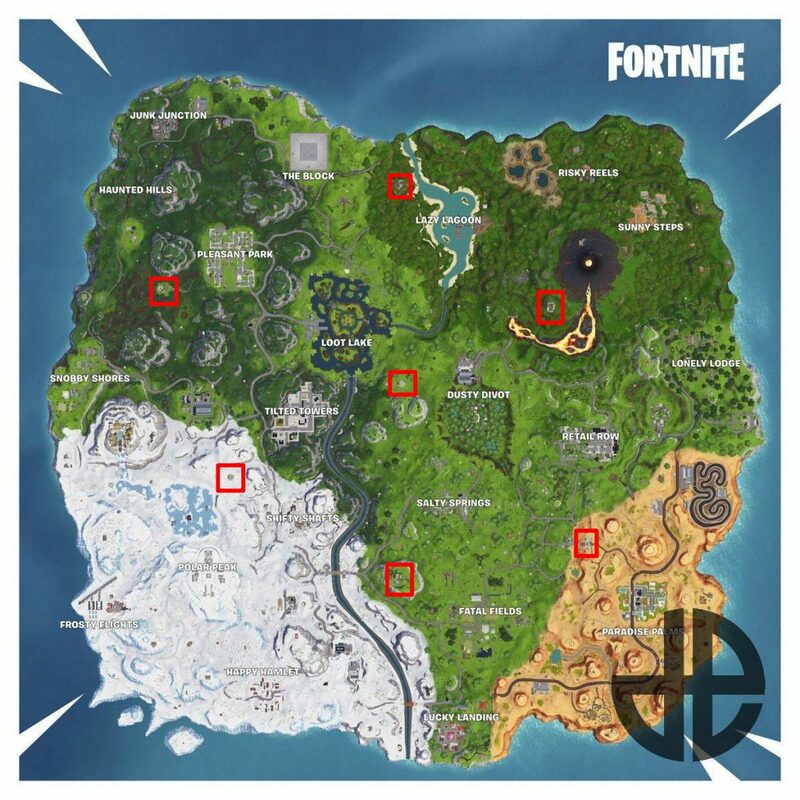 The fastest Pirate Camps to traverse between can be found near and around Tilted Towers, Salty Springs, and Dusty Divot. 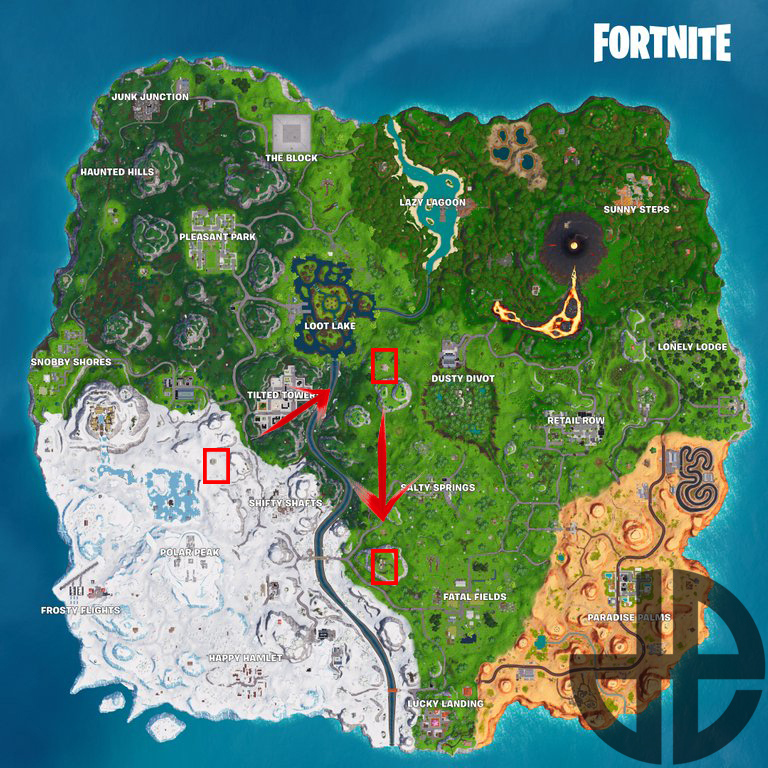 You will begin your journey at the snowy Pirate Camp located to the west of Shifty Shafts. Then head northeast to the Camp located to the west of Dusty Divot. To end your adventure, you will have to head directly south, past Salty Springs. The last camp is located on the mountain/hill which overlooks the river, Salty, and Fatal Fields. And that’s it, you’re done with the challenge. Easy as that…when you know how to do it quickly. We recommend completing Challenges in Team Rumble as the gamemode allows for easy Respawns should you die on your way to a camp. Head to our overview article on the Week 7 Challenges for a look at what you will have to complete this week and how to unlock the secret Battle Star!